This article was prepared by Logistics Department of the Undersecretariat for Defense Industries. “SSM 3rd Life Cycle Management Conference” organized by the Undersecretariat for Defense Industries (SSM) was held at the JW Marriott Hotel in Ankara on 30 May 2017. The organization of the Conference coordinated by SSM Department of Logistics was conducted by SaSaD under the sponsorship of Aselsan, FNSS, Havelsan, Otokar, TAIS, BMC, Nurol, TAI, Roketsan, AYESAŞ, Meteksan Defense and Milsoft companies. 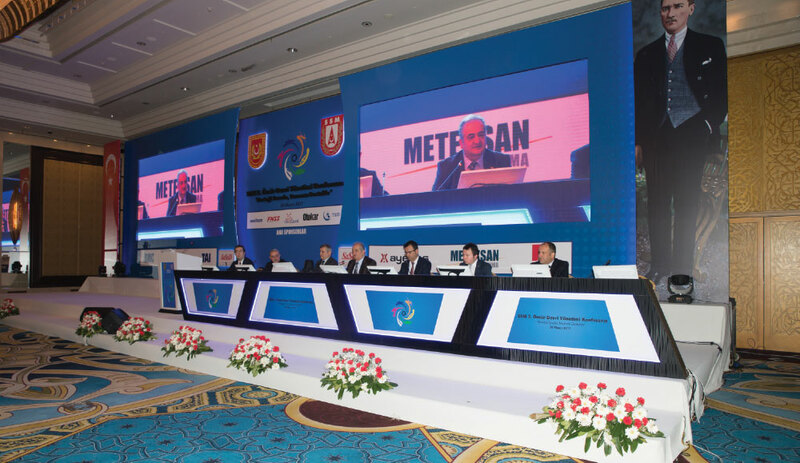 Approximately 500 attendees from the Ministry of National Defense (MND), Undersecretariat for Defense Industries (SSM), Land Forces, Naval Forces and Air Force Commands, Gendarmerie and Coast Guard Commands, National Police, TÜBİTAK, Universities and Defense Industry Companies attended the conference executed in five sessions. Though there are crucial activities previously initiated by the UDI on Total Life Cycle Management and Logistic Support System, due to the emerging status of our country’s requirements, subject endeavors should continue in an accelerated manner with the most possible dedication. The coordinated studies of all shareholders within a systematic approach and establishment are deemed essential during the initiation and further execution for our overall achievement. UDI is willing and able to assuming the vital role for the subject coordination. Throughout the procurement of the defense systems, we should focus all efforts solely on the readiness of the product received and utilized by the end user in accordance with the required performance level. The way to achieve this is extending the Life Cycle Management covering the acquisition and utilization phases as a whole, through which we can efficiently use our country’s resources. In order to achieve a full cooperation between interrelated projects, especially the cost overrun projects, The roles and responsibilities of each shareholder should be designed starting the initial phase. The integrity of total life cycle management should be targeted; the procurement of the defense systems and their logistic support should not be designed separately. The integrity of procurement of systems and their logistic support should never be impaired as though it would naturally be launched through different contracts . The invisible parts of the upkeep costs of the defense systems should emerge as much as its visible parts. Otherwise the accurate expense comparison regarding the alternative methods could not be accomplished. An understanding to assign more responsibility to the private sector for providing logistic support should be adopted. Particularly, the Public - Private Sector Cooperation allowing the utilization of public sector’s facilities and capabilities should be developed and enhanced. Life Cycle Management is designed as a whole within the scope of the Özgün Multi-Role Helicopter, Altay MBT, Hürkuş B and C Basic Trainer Aircrafts, Karaok Weapon System, Weapon Carrier Vehicle, AKYA and SGRS Development/Mass Production Projects by the UDI. In addition to the Command Control Aircrafts, 2nd TIHA - Gözcü, JAIKU-IKU, Hürkuş-B TEU, STAMP, AEW&CS Aircrafts DSB, PT-6 Engines, BORA Missile System, Kornet-E Anti- Tank Weapon System, EHTES, Long Horizon, Simulation Systems, EHDM and DEHTES Projects within the inventory, activities for the logistic support contracts/agreements for some other projects are being executed. Necessary support is being provided to our national industry for the rendering of logistic support delivery capabilities, including the need to exclusive demands on the certification issues regarding the sub systems and spare parts to be manufactured through national resources. For the precise forecast of Life Cycle Costs (LCC) and preparation of robust plans that extend years, the activities for the execution of detailed cost analyses have been launched. Through these activities, the timely and accurate adoption of the decisions that reduce the cost of ownership is aimed. The greatest challenge in this area is collecting accurate and reliable data, the changes occurring in the demands and need for time. For the calculation of LCC, establishing a common database, the stipulation of LCC guarantee in the contracts, submission of cost items together with the proposals, proposal evaluation criteria, transparent monitoring of the expenditure items and data to be used in the analyses (manhours, workmanship, MTBF, etc.) are required. One of the most important outputs of the conference will be the establishment of the “Turkish Defense Industry Life Cycle Management Platform” under the auspices and responsibility of the SSM. Through this platform in which all shareholders could participate, increasing the level of overall know-how/experience between the shareholders through the execution of scientific/practical studies on an effective Life Cycle Management required by the defense systems/platforms, developing approaches/applications that will constitute a basis to cultivate fruitful implementations and rendering these activities sustainable are aimed. With the documents to be generated by the platform and through the identification of approaches, methods, techniques and standards, more efficient resource and program/project management is aimed. For reaching the desired level of success regarding the Life Cycle Management, the expected level of support of the shareholders is of essence. TÜBİTAK may provide support in the approaches that will execute the analysis and evaluation of the Life Cycle Management; in the preparation of the mission definition and feasibility reports of the Life Cycle Management. Defense projects should be regarded as being in harmony from the start-up phase; the activities starting from the design to retirement stage should be executed in line with a master plan. SSM identified the aforesaid principles as a basis and advise the companies to constitute their structures accordingly. Within this frame, the system design was affected by taking into consideration the maintenance operation period requirements by either establishing the Integrated Logistic Support units or improving the existing structures at the companies. The aim here is to reveal a design that will enable the combat readiness level of the systems through low costs, production of prototypes, execution of mass production and furnishing timely and constantly logistic support throughout the service life. In the current situation, the connection between the systems delivered to the end users’ inventories and the manufacturer is halted with the completion of the warranty period. Upon the completion of the warranty period, with the manufacturer’s assuming of the logistic support responsibility, it is assessed that a crucial level of contribution to the defense industry infrastructure in which the basic performance rates such as the operational and reliability will be protected, the OEM’s spare parts will be used, in which the connection with the sub-contractors will be maintained over the main contractor, the documents will be updated in a short span of time, the service life data for new designs/developments could be instantly reached and thus the user requirements in the upcoming period could be fulfilled at the desired level. Our companies started to assume active tasks in respect to providing logistic support. Particularly, as in the “Euphrates Shield” instance, the capacity of the private sector regarding the logistic support provided to the operation was proven. Recently, there is an increasing tendency for our companies to participate in the procurement of logistic support services. In parallel with the satisfaction expressed by the user authorities, more tasks and responsibilities should be assigned to the companies involved in field activities. Our manufacturer companies are providing services as part of the logistic support contracts to the systems/platforms within the inventories of foreign countries. Taking into consideration the existing qualified labor of the private sector, their technical dominance over the products manufactured, and private sector’s know-how in supply chain management and business execution dynamism, more responsibility should be assigned to the private sector throughout the maintenance - operation period in a way to cover the PPC implementations. The standards/specifications developed in way to regard the Life Cycle as-a-whole should be examined and included in the implementations of our country. To this end, the S series specifications identified/being identified by the ASD/AIA (Europe and U.S industrialist associations) should be kept up with and maintained and their implementation in our country should be extended. A Life Cycle Management Platform in which all stakeholders assume tasks should be established by the SSM and through the maximum support provided by our companies, an environment in which we will cooperate and in which documents to be used by both public and private sectors should be established. The increase of hazards in our South-East region and confronting a survival threat indicated the requirement for the retrofit of the logistic systems. The logistic systems should be restructured under the hybrid combat system against asymmetric threats. Turkish Armed Forces need reliability; a system is required that is smooth functioning throughout peacetime and also in times of war. For the existing logistic infrastructure that is out of service, we need to rely on the system replacement. The Ministry of Defense is no longer passive; it reached an active structure (through Statutory Decrees). There is a need for a platform in which all defense companies are able to effectively communication with the Ministry of Defense. Defense expenses will increase due to the decision made at the Foreign Ministers Council stipulating that NATO member countries should allocate 2% of their GDP. There are no hesitations regarding the implementation of Life Cycle Management in the Turkish Armed Forces (TAF) realm. Yet, the identification of the implementation method is required. The errors in the NATO Stock Numbers are creating major problems in respect to logistic support. Both the private sector and the government should adopt the required measures on this issue. The most crucial and unique characteristic of the naval forces is its capacity to stay at sea for a long time with its warships. The components providing logistic support should have the same level of facilities and capabilities that will provide uninterrupted and sufficient support to this force in the required time and place. The maintenance-operation budget should be identified in proportion to the project budget, the conference management method should be implemented within the budget range especially in the procurement of the spare parts, required importance should be attached to timeliness management and the utilization of the ASD Integrated Logistic Support Set (S Series) Specifications should be extended. The crucial factor in designing defense systems/platforms and building logistic support is the clear definition of utilization and mission profiles. Integrated Logistic Support Analysis should be conducted with accurate and complete data. According to the conventional logistic approach, and the reason for the preference of Performance Based Logistics (PBL) is that the maintenance-operation cost of a system corresponds to 70% of the total Life Cycle Cost, the request of the user to focus on his primary tasks, the technical features of the systems being used, the need for supporting the international operation, the complexity of the systems and the according dependency on the main contractors, continuous increase of the logistic costs and that there are difficulties in maintenance-operation. The scope of application is increasing day by day. The following points were expressed by the General Directorates of the Ministry of Defense. Against manufacturer’s risk of losing its capabilities due to financial or legal problems, the replenishment and maintenance systems should continue to be improved. It should not be left up to the manufacturer/supplier companies or the patent ownership that will enable the production to be assigned to different companies, it should remain at TAF/SSM. The systems to be procured should be in compliance with the systems being utilized, the work distribution should be clearly identified, NATO Stock Numbers should also be used by the manufacturer, effective role of the manufacturer company teams in maintenance and repair procedures should be tested under operational conditions, software for transferring the user feedback to the manufacturer should be developed, operation and maintenance criteria should be identified, performance evaluation system should be established, and a requirement that related legislation should be amended for the manufacturer’s maintenance support in cross border operations. Life Cycle Management Analyses should be conducted in a detailed manner, separate forecasts should be made for procurement and maintenance-operation and the cost of the Life Cycle should be calculated and followed as-a-whole. The required infrastructure should be prepared. The Military Factories General Directorate has been performing its activities with 27 military factories and over 17,000 staff. Enabling the depot level maintenance of the systems within TAF’s inventory, manufacturing system/sub-system and spare parts for the TAF and providing Depot Level Maintenance and Production services to domestic and foreign institutions are amongst its responsibilities. There are roles to be assumed by the military factories within the scope of the cooperation activities with the defense companies as part of the Life Cycle Management from the concept stage until the release from the inventory stage and plans are being prepared accordingly. To this end, an MoU was signed at IDEF with Airbus, Mechanical and Chemical Industry Corporation, TÜBİTAK SAGE, TEI, Aselsan and Bilkent University. Similar to the legislation regulating the military factories in the U.S. (Title 10); depot level maintenance and repair capabilities for the parts of the military equipment supporting the mission critical weapon systems or directly supporting the operation requirements should remain within an organic structure. According to the legislation in the U.S. there is a condition stipulating that 50% of the yearly budget allocated to the depot level maintenance - repair should be spent at the maintenance centers in an organic structure, and 6% of the budget should be invested in the improvement of the maintenance centers within an organic body. Military factories and the defense industry are not the alternatives of each other but the complementary components of a whole. Taking the facilities and capabilities existing at the military factories into consideration, modernization of the aged machinery infrastructure and cost accounting systems of the military factories bear importance in respect to the procurement projects. A new re-structuring is being executed under the auspices of the Directorate General of Shipyards. Three shipyards (Gölcük, İstanbul and İzmir Shipyards) will be categorized based on their areas of expertise. The shipyards enable the 7/24 operation of battleships all around the world and this capability should not be lost. There are no alternatives in our country that are capable of providing the repair services within this context. All shareholders should objectively assess the activities conducted in the present system in terms of efficiency and effectiveness. Joint action should be taken and the government should be backed with the power of the Industry. Applications related to Performance Based Logistics and PPC models should be launched. A Joint and National Logistic Information System Software is required. A comprehensive and detailed study should be initiated. The activities regarding the Cost Analyses should be executed within a general discipline and the principles to which all shareholders contribute should be identified. Fulfilling the legislative requirements is crucial for the related activities. The Life Cycle Cost Analyses should be handled in a reliable and effective fashion. In parallel with the activities and developments, the requirement for developing the legislation should be taken into consideration as well. Actions should be immediately taken through related coordination and cooperation in relevant issues. TÜBİTAK may provide effective support in system establishment, analysis/assessment execution and providing consultancy services in relevant areas. 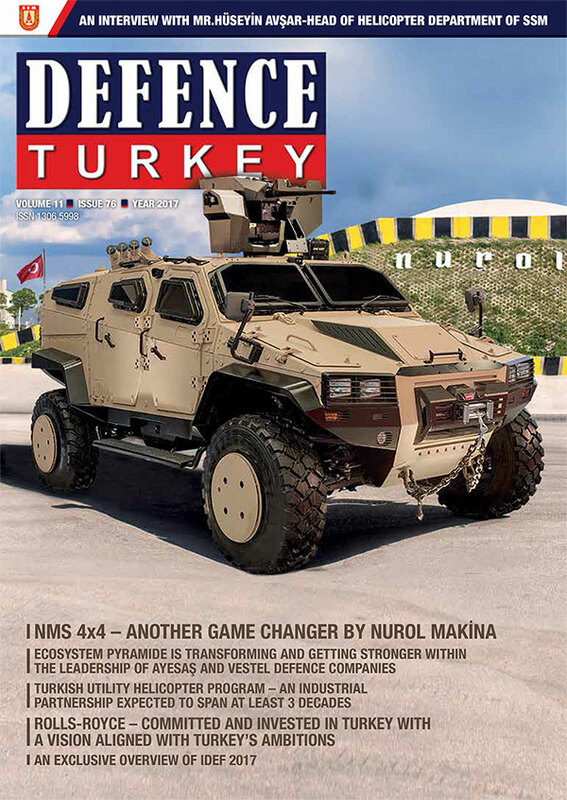 Through the joint endeavors of the shareholders, the “Turkish Defense Industry Life Cycle Management Platform” should be established under the auspices of the SSM through conducting studies on the LFM models that are compatible with our national body as well as the processes, methods, analyses, standards, costs, etc. As a result of the support provided by all shareholders to this platform, more effective results will be attained in Life Cycle Management.